We all know that the weather plays a big part on the pressure in your tires. Hot weather can cause your tires to overinflate; cold weather may cause your tires to dangerously deflate. We also know that underinflated tires can wear out more quickly than tires that are properly pressurized. Maintaining proper air pressure is the single most important things drivers can do for their tires. Under inflation is the worst enemy a tire can have, as it causes unwanted wear and tear on your vehicle. It also reduces your fuel economy by making your vehicle work harder because of soft tires. Underinflated tires can also lead to other major tire failures such as more flats, blowouts, skids, and longer stopping distances. To help alleviate experiencing any major tire failures, Ryder Fleet Products suggests checking your tire pressures at least once a month with a reliable tire gauge. To find the proper air pressure for your tires, consult your owner’s manual for the recommend tire pressure PSI. Safety – Underinflated tires can cause your Anti-Lock Braking Systems (ABS) or Traction Control Systems (TCS) to not function properly. Fuel Consumption – Properly inflated tires provide better handling while helping your vehicle run more efficiently improving your fuel consumption. Easier on the Environment – Properly inflated tires will help reduce the amount of carbon dioxide a vehicle emits into the environment. Cost Saving – By ensuring your tires are properly inflated, your vehicle will run more efficiently and prolong the life of your tires. 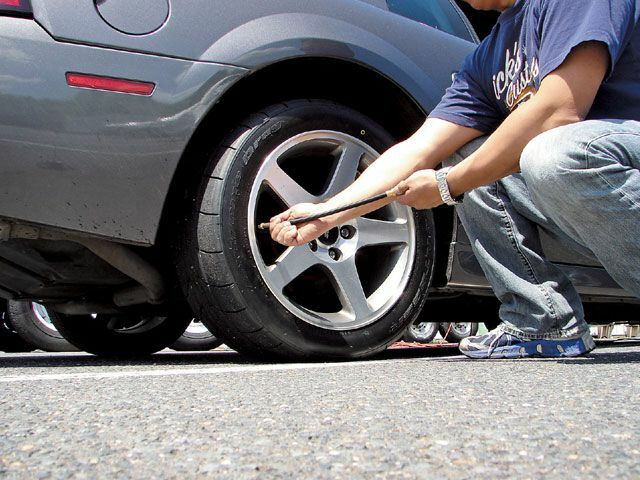 Proper inflated tires will also help to prevent unwanted body damage to your vehicle from hitting potholes. Better Handling – Properly inflated tires help your vehicle run smoother while absorbing the friction from the road or hitting potholes. Tire Longevity – Properly inflated tires will help prevent unwanted tread wearing. Vehicle alignment – Properly inflated tires will help keep your vehicles alignment properly aligned while adding to your tires lifespan. Ryder Fleet Products carries a wide assortment of Tire Pressure Monitoring Systems (TMPS) to help you properly maintain your vehicles tire pressure. To help accomplish this, Ryder Fleet Products is happy to announce that during the month of March, all TST tire pressure monitoring products are available for 10% off by using the promo code “TST10OFF” at checkout. With every TST tire pressure monitoring purchase during March, TST will extend its two-year warranty to three year warranty (limited time only).